Amarone della Valpolicella is a wine made with partially dried grapes in Valpolicella, Veneto, North-east Italy. There are three geographical sub zones; Classico, Valpantena and ‘Est’, the extended zone. ‘Each of the three geographical zones has its own identity,’ said Michael Garner, in the 2018 Decanter Italy supplement. Amarone Riserva Grapes Amarone is produced throughout the Valpolicella denomination (including the sub-zones of Classico and Valpantena) from grapes dried until at least 1 December following the vintage and fermented out to a minimum of 14% alcohol. The wine may contain a maximum of between 12g/L and about 16g/L of sugar (depending on its total alcohol content), though 5-7g/L is more common. The wine is aged for a minimum of two years from the year following the vintage or for four years (beginning in November) for Riserva. 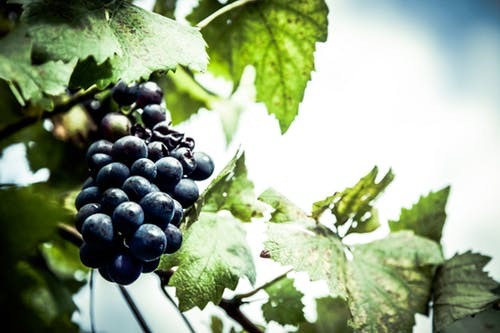 There are a few permitted grape varieties in Amarone wine – the main ones being Corvina, Corvinone and Rondinella, plus some lesser known ones. ‘The aromas and flavours of Amarone are determined invariably by Corvina – and to a lesser extent Corvinone,’ said Garner. ‘Amarone spends a minimum of two years in wood, though can remain there for up to nine or 10 in rare cases (Quintarelli, Zyme). Barrels vary from French and Slavonian oak through to chestnut, cherry and even acacia,’ said Garner. Many producers went back to the drawing board: the rediscovery of long-forgotten grape varieties; more ‘complete’ fermentations heading towards a drier style; experiments with different-sized barrels and wood types, etc – all aimed at reshaping the wine’s identity. Others dug their heels in and remained faithful to the time-honoured ways. Indeed some continued to accept the presence of a small proportion of the fungus in its ‘larval’ or nascent form, ie: before full sporulation. As such, Muffa nobile or noble rot can confer expansive and developed aromas of macerated fruits plus the honeyed notes typical of botrytised wines and, in addition, boosts glycerol levels, enhancing the wine’s velvety texture. The upshot of this activity accounts for the surprisingly wide spectrum of aromas and flavours typical of today’s Amarone. Three styles dominate current production. A simpler version usually with less wood ageing showcases its friendlier side. Many believe that Amarone is best drunk by its 10th birthday when the wine is still all about roundness, softness and harmony. Smaller batches of a grower’s very finest fruit are fermented separately and often given extra wood ageing; this ‘premium’ or Riserva version is capable of lasting for up to 20 years or so in bottle. Finally, the more ‘modernist’ interpretation of Amarone embraces a more concentrated, longer-lived and less oxidative style of wine through the use of controlled appassimento and mainly smaller (225L or 500L) new oak barrels. Appassimento is the method of partially drying out the grapes, which are then slowly pressed, and slowly fermented, to make Amarone della Valpolicella. ‘Amarone is about winemaking as much as anything else,’ said Susan Hulme MW, in our 2017 panel tasting.